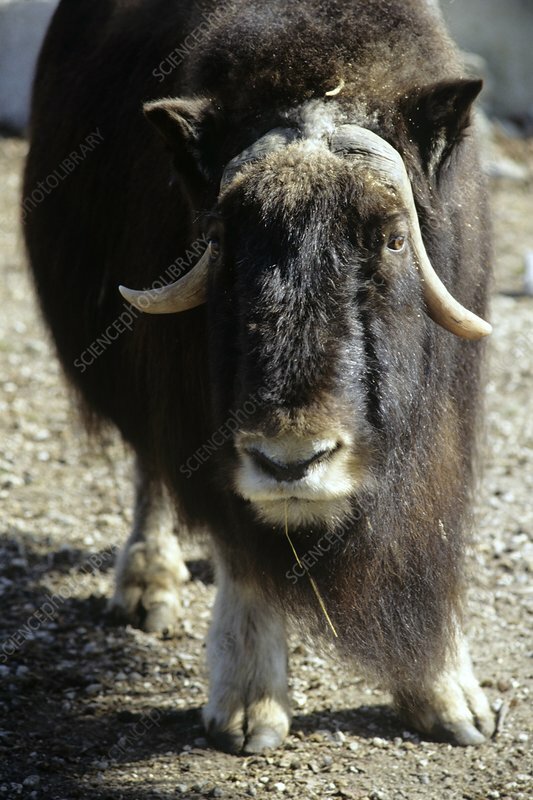 Muskox. Close-up of a muskox (Ovibos moschatus). Photographed at the Moscow Zoo, Russia.